Within Camperdown, an inner city suburb of Sydney Australia, there has in recent years developed a varied and diverse collection of restaurants and other places to eat. 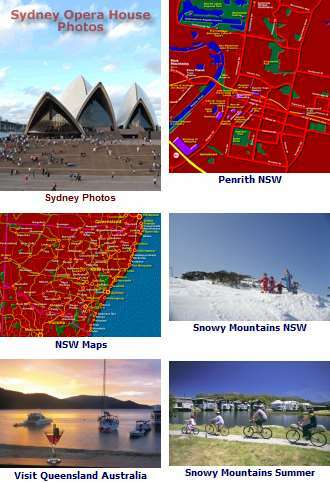 Below is a selection of the best that the suburb has to offer. A prime location with its near location to the city center, this suburb has seen luxury apartments in tall buildings built in rapid succession. These replaced the historical terrace homes that had managed to survive the earlier building booms of the sixties and seventies. Serving authentic Korean foods, as anyone who has been to Korea will attest. Serving dishes including Pancakes, Tempura, Soups and Salads as well as Banquet choices. Banquet A for example has Seafood Pancake or Korean Spring Rolls for entrées, while mains include delicious Beef Bulgogi, Chicken Teriyaki or vegetarian choices. With many good reviews, this place with its friendly service will do good. Despite not being BYO wine, it is licensed to serve alcohol drinks. You can dine al fresco on the garden terrace or inside. They aim to serve fresh, in season farm to table food, served on small plates. They also have more substantial dishes for those wishing their own meals. Having served delicious food and coffees for more than a decade here in Camperdown, it continues to do so for a growing body of fans. Serving breakfast, lunch and dinner. Dinner mains consist of dishes such as the grilled fish (daily market) and twelve hour roast lamb shoulder. They also a great Rib Eye, cooked to your liking. Note: The Deus Ex Machina is what was thought to be an unsolvable problem is suddenly and abruptly resolved through an inspired and unexpected intervention of a new event, character, ability or object. Although it is a café by name, it also does dinner with very affordable Thai food for the hungry. All the great Thai dishes are served here, for lunch and dinner, including Green Curry, BBQ Crying Tiger, Pad Satay (Hokkien Noodles with Satay Sauce). Do try one of their specialities if you get the chance, Barramundi Prik Khing, Crispy Pork Belly or their Choo Chee Salmon Fillet. For dessert, Black Sticky Rice Pudding or the Thai Banana Pudding is a great way to end the meal. This Peruvian restaurant is a welcome addition to Sydney’s growing repertoire (if that word can be used here) of places to eat. Indeed, delicious South American fare is growing in popularity here as it is throughout Europe and for good reason. Known for its authentic flavours, this smallish family owned restaurant aims to please and does so with its generous lashings of delicious Peruvian dishes. Pleasing to not only homesick South Americans but Sydneysiders as well. Try their Ceviche, a dish of fresh raw fish cured in citrus juices, then spiced with chilli and or aji. Oh yeah! Getting to Camperdown: Take train to Redfern train station from any of the city stations (see Sydney City Centre trains CBD) and a ten minute walk southwest. City buses - take routes 412, 413, 435, 436, 437, 438, 440, 461, 480 from either George St. or Railway Square. Map showing Newtown, next to Darlington, where Sydney University main campus is situated Greater Sydney Surrounds Map. You can find Sydney hotels in the city and surrounding suburbs including Darling Harbour - luxury hotels to beachside apartments, backpacker hostels and bed & breakfasts.